Today I am thrilled to feature an interview with professional make-up artist – Cassandra Pierro. Cassandra graduated from Cinema Make-up School in Hollywood and has done make-up professionally for over 10 years. 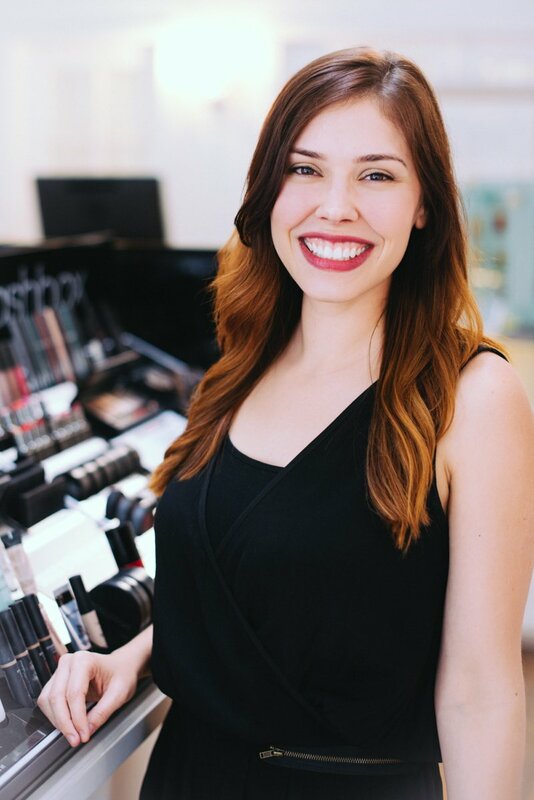 Currently she works at Powder Room Beauty Bar in Chico, Ca and has showcased her makeup talents in countless weddings, events, commercials and photo shoots. Not only is she amazing at what she does, she is just a wonderful person. Warm, kind, patient and has a wonderfully calming presence which is a much needed thing on a wedding day. A little Q&A with my favorite makeup artist and a few little tid bits thrown in from yours truly. 1. To Smokey Eye or Not to Smokey Eye? When do you recommend doing a smokey eye for weddings? Is there a certain eye shape or color it works best with? Smokey Eye? That is the question. More and more brides are requesting smokey eyes lately, especially with all of the latest smokey eye photos circulating sites like pinterest. If done right, a smokey eye can look beautiful, however you have to keep in mind that it can make your eyes appear smaller, so I wouldn’t recommend it for small or close-set eyes. The contrast of the dark eyeshadow looks great against light colored eyes, and can make blue eyes look brighter. If you decide to do smokey, just make sure you use neutral colors, like dark brown or bronze for a softer effect. I would never recommend gray/black eyeshadow, no matter your eye color. 2. I normally don’t wear much make-up, what do you recommend for someone like me on my wedding day? Wear more makeup than you ever normally would! Don’t skip anything. For example, even if you never wear eyeliner, wear it for your wedding day. If you’ve always been just a lip balm girl, give lipstick a shot. 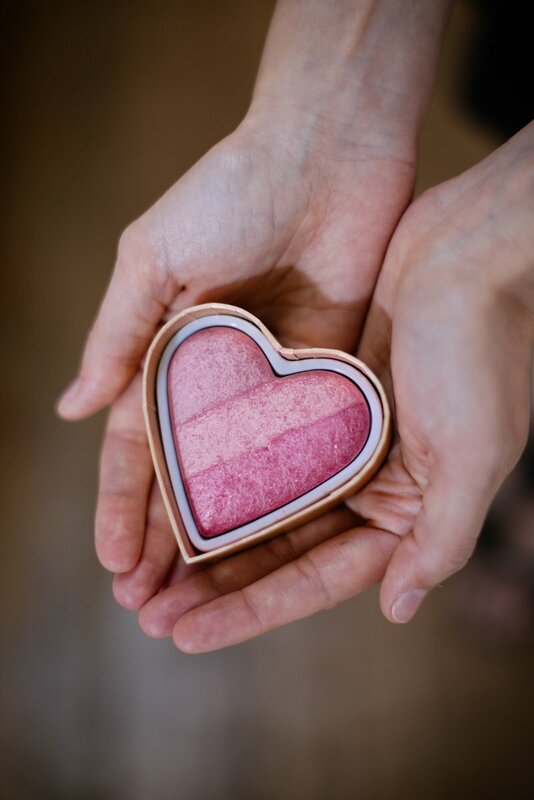 It all may seem like a lot to you, but will accentuate your features for the camera and for your guests (you are, after all, the center of attention). Do a practice run with your makeup and wear it for a day, take photos of yourself, you’ll become comfortable with it and realize that it looks more natural than you’d think on camera. 3. 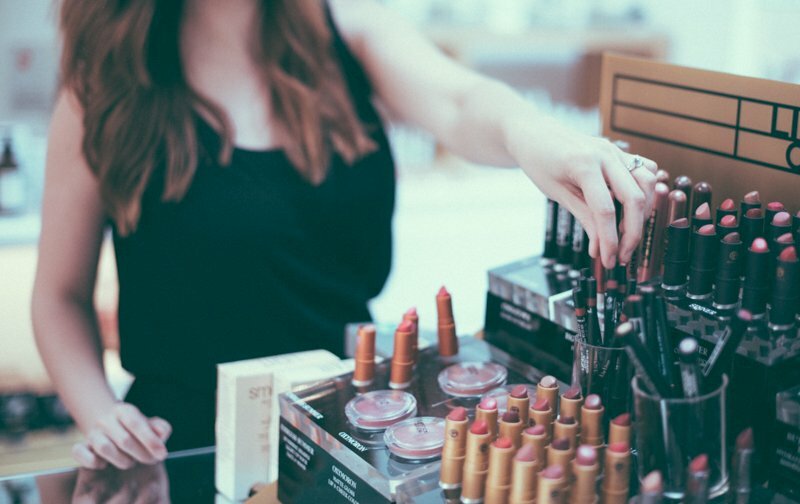 How do I make sure my make-up will last all day, especially in Summer heat? Make sure all the makeup you use is as water-proof as possible. A good foundation primer and eyeshadow primer will keep the makeup on longer. A silicone based airbrush foundation holds up best in summer heat and doesn’t crease or smudge. Waterproof eyeliner and mascara are a must. *I’ve seen how amazing airbrush foundation is in person and on camera, especially in 100 degree heat. It’s like a miracle! Time and time again it outperforms anything else out there. As a photographer I highly recommend it, especially for hot Summer weddings. 4. What’s the number one mistake you see with bridal make-up? Poorly blended eyeshadow. Not enough eyeshadow. Too much shimmery eyeshadow. It’s all about the eyes, so make sure yours are on point. What about you Shannon? You edit hundreds of photos for each wedding, are there any makeup mistakes that often stand out in photos? *Poorly blended shadow/liner…Flakey mascara or eye shadows that collect in the under eye and look like dark circles. Foundation that is the wrong skin color, so that the face is one color, but the neck and chest area are completely different, there is no amount of photoshop to correct that. I also strongly dislike cakey, powdery make up, it sits in creases and accentuates wrinkles, making even very young people look much older. It also makes fine hairs that are on peoples faces that you normally can’t see – stand out. Bad, powdery, cakey foundation is a definite no-no for photographs. 5. Is there anything you wish bride’s would do with their make-up look? Wear false eyelashes. If done correctly they can still look very soft and natural. The individuals are best and should fill in the last line, but not be too much longer than your natural lashes. It just completes the look and makes your eyes pop! 6. What should I do ahead of time to make-sure I have great skin for make-up application? To ensure smooth, glowy skin on your wedding day, make sure to exfoliate regularly and keep your skin hydrated by using a good moisturizer and drinking lots of water. However, try not to do anything drastically different than your normal skin care routine. Unless of course your normal skincare routine just isn’t working, then I recommend seeing an esthetician. Facials can do wonders for your skin, but can also bring impurities to the surface, so start at least 3 months before your wedding. Plucking your eyebrows! To get the best shape, let them grow and then have them done by a professional. Threading is recommended because it’s the most gentle and precise method of hair removal, and lasts just as long as waxing. 8. I have acne or acne scarring, how do I make sure my skin is picture ready? A treatment like the Jet Clear facial offered at Powder Room Beauty Institute can help clear breakouts and blackheads, and minimize pores. We have an acne specialist who has seen amazing results on clients. Peels can help lighten acne scars and smooth the skin, but you’ll want to try one out a few months before the wedding and do a regular series of them up until your date to get best results. *I have acne and had the Jet Clear treatment, it works wonders! Although different eyeshadow colors can bring out certain eye colors, the most important factor when determining what color to wear is actually your skin’s undertone. If you have a pink or red undertone, wear cool eyeshadow. If you have yellow or olive undertones, then stick to warm colors. With that in mind, green eyes pop with purples (if you have warm skin chose a plum purple, if you are cool chose a blue toned purple), blue eyes are accentuated by gold or bronze, and brown and hazel eyes look great with anything as long as you chose the right color for your skin tone. 10. What’s your favorite waterproof mascara? My favorite high quality mascara is Too Faced Lash Injection, it actually forms little tubes around each Iash, making it even better than waterproof. But if you’re looking for a less expensive drugstore brand, you can’t go wrong with Maybelline Great Lash waterproof black. By the way always choose black mascara for weddings never brown, no matter what color your natural lashes are. 11. How much time do you recommend I should allot for my wedding day make-up application? It can take around 45 minutes to an 1 1/2 hours for a full makeup application. Always allot at least an extra hour before everyone is supposed to start getting dressed, just in case. 12. Is there anything I missed? Yes, consider hiring a professionally trained makeup artist for yourself and your bridal party. 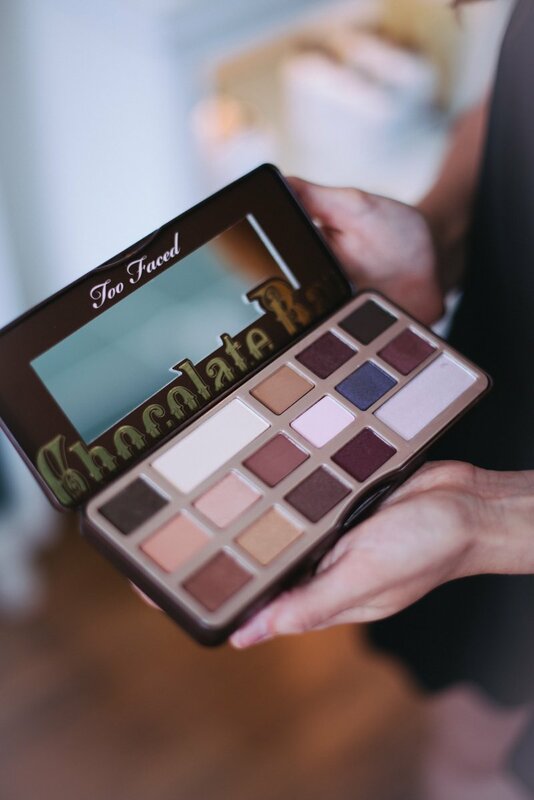 You might have a makeup loving friend or cousin who offers to help with yours, but a pro artist knows all the techniques and tricks for helping you look your absolute best. Especially – THE DAY – when looking flawless is most important. You will have your wedding photos forever, so make sure your beauty is enhanced perfectly for the camera. When choosing your artist make sure to see their portfolio and inquire about their training and experience. 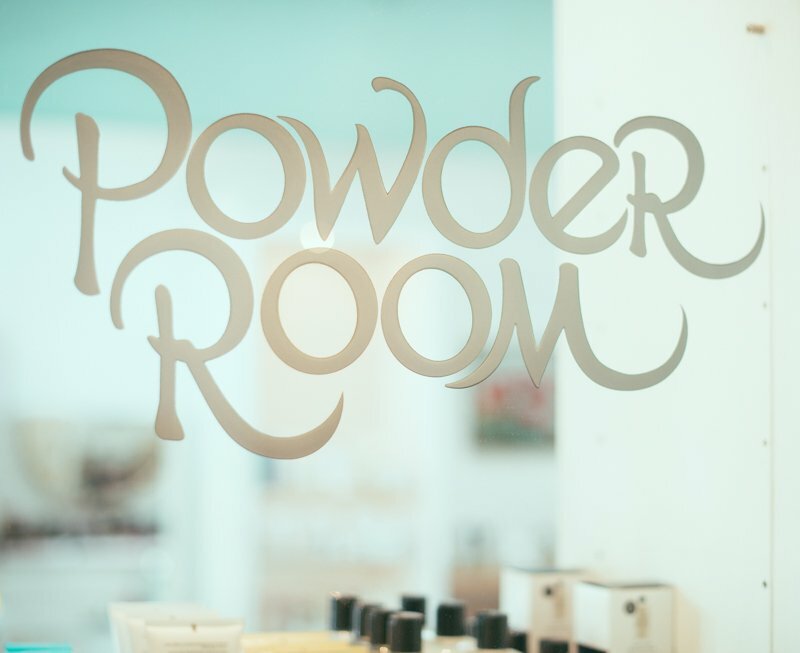 The Powder Room Beauty Bar is located downtown on 239 Broadway Street in Chico, Ca. 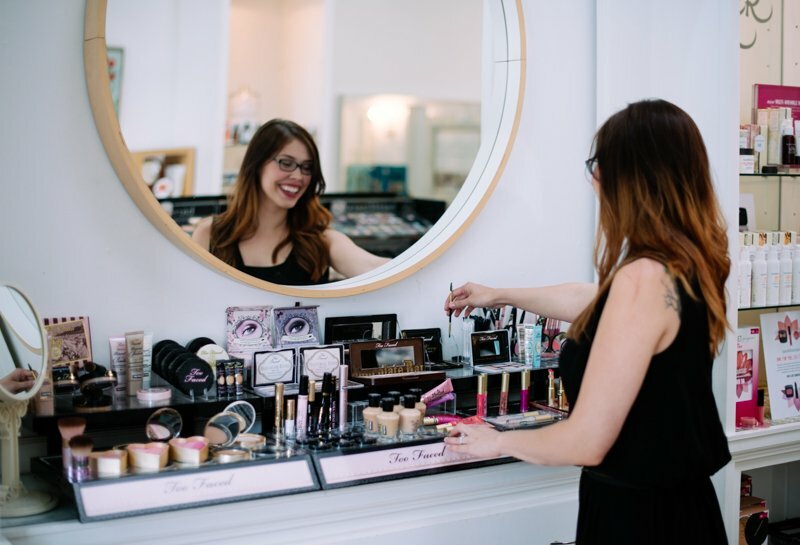 They provide professional makeup application, beauty treatments and carry a variety of beauty products and makeup lines, like Too Faced, SmashBox, Bare Minerals, just to name a few.